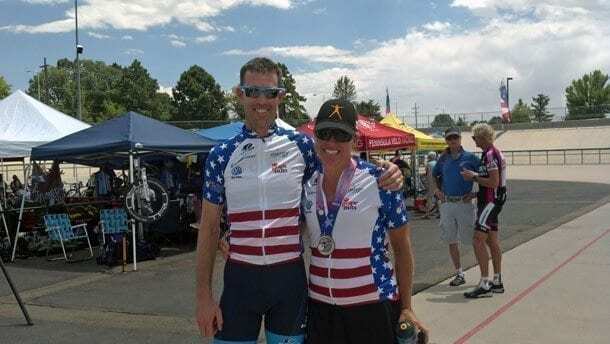 At the July USA Cycling Masters Track National Championships held in Colorado Springs, (CO) local cyclists scored medals in various cycling categories. Kevin Phillips (Redondo Beach), Neva Day (Manhattan Beach) and Kurt Sato (San Pedro) all won national titles (and the coveted Stars-and-Stripes jersey). Kevin Phillips, riding for Ironfly won a gold medal in an impressive ride in the men’s 35-39 age category in the 10 kilometer scratch race. His teammate Jonathan Davy (Torrance) took bronze. Phillips also took silver in the men’s 35-39 two kilometer individual pursuit title. 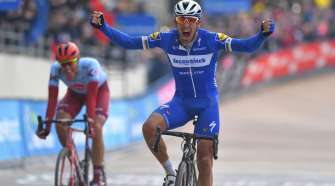 Davy captured fourth place in the men’s one kilometer time trial. Phillips and Davy secured a bronze medal in the Men’s 35+ 20 kilometer Madison race. Sato, with South Bay Wheelman, set a new world and American best in the men’s 55-59 500-meter time trial. Renee Ferstermacher (Redondo Beach) was fifth in the Women’s 45-49 Points Race. fourth in the Women’s 45-49 5-kilometer scratch race and fifth in the Women’s 45-49 two kilometer individual pursuit. Melanie Phillips (Redondo Beach), Renee Ferstermacher and Monika King (Hermosa Beach) captured a bronze medal in the Woman’s 35+ three kilometer team pursuit. Neva Day (Manhattan Beach) riding for Cog Cycling scored multiple wins: gold medals in the Women’s 40-44 Points Race, Scratch Race, two kilometer race and Women’s 34+ three kilometer team pursuit. She was fourth in the Women’s 40-44 500-meter time trail. Tara Unverzagt (Torrance), riding for Team Hammer Nutrition won gold in the Women’s 45-49 five-kilometer scratch race and well as winning medals in other categories. Taylor Fenstermacher (Redondo Beach) and John Walsh (Playa Del Ray) placed fourth in the Men’s 45+ four kilometer team Pursuit. 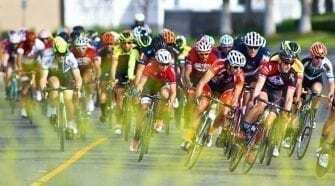 All in all a great week of racing for the South Bay cyclists and their teams.